If your drinking companions are French, you toast each other with "� votre sant� !" With Russians, it's "Za zdorovje!" For Spanish-speakers, "Salud!" In Hebrew, "L'chaim!" And not just heart disease. Numerous studies bear out the finding that moderate drinkers tend to live longer than both teetotalers and heavy drinkers. According to sociologist David Hanson of the State University of New York at Potsdam, even the National Institute on Alcohol Abuse and Alcoholism  an organization plainly not inclined to downplay the potential dangers of liquor  has found that "the lowest death rate from all causes occurs at the level of one to two drinks each day." 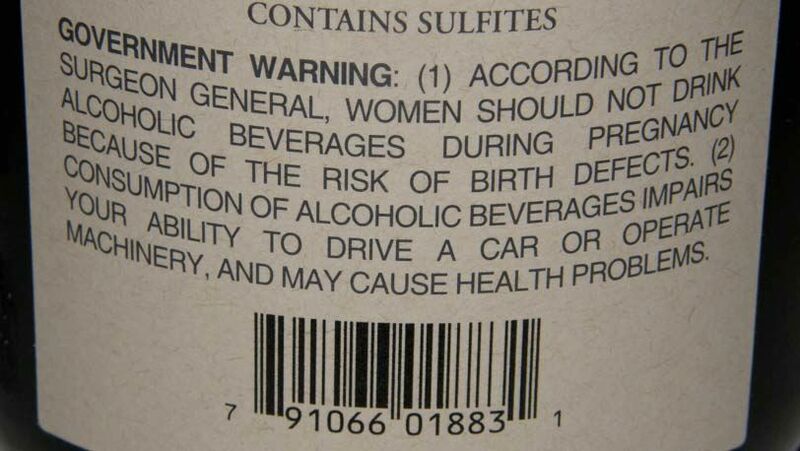 Federal law has required a health-warning label on alcoholic beverages since 1988. Yet even the government's own dietary guidelines, regularly revised by the Department of Agriculture and the Department of Health and Human Services, acknowledge that adult beverages confer "beneficial effects when consumed in moderation." Fewer heart attacks, better cholesterol levels, reduced hospitalization rates, less weight gain, lower risk of dementia and cognitive decline  all these life-saving or life-enhancing advantages, the data suggest, are likelier to be found among men and women who down a daily drink or two than among those who never drink at all. "The evidence that abstinence from alcohol is a cause of heart disease and early death is irrefutable," writes addiction and public-health specialist Stanton Peele, "yet this is almost unmentionable in the United States." Accompanying Peele's essay at Substance.com is a picture of a classic Guinness beer ad proclaiming: "Guinness Is Good For You." It turns out that having a beer  or a glass of wine, or a vodka tonic, or a bourbon on the rocks  really is good for most people.